Character generation rules for Legacy of the Bieth. Some of these are cribbed from Jack Shear's Tales of the Grotesque and Dungeonesque (pdf here). Gnomes and halflings are not native to Legacy of the Bieth BUT hobgoblins are a viable PC race (+1 Str, -1 Wis, infravision 60', can be fighters, clerics, thieves, and paladins if you want the AEC route; if you're just making a LL character, treat them as dwarves for chargen purposes). Clerics can turn "unclean spirits" rather than just undead. If fighters slay an opponent they can make a free attack on an adjacent foe. Freelanders replace AEC rangers, and can choose a "hated foe" that they get bonuses to fighting, rather than "goblinoids"
Magic-Users do not have access to any spells that deal direct damage unless they are found in the course of play. Even FLAILSNAILS characters will find that damaging-dealing spells from other sources do not function. Thieves and Assassins use d6s for hit dice. Any class can use any weapon; armor restrictions remain. No armor beyond splint mail may be purchased. After rolling up your class, roll on the Cultural and Background Benefits table. 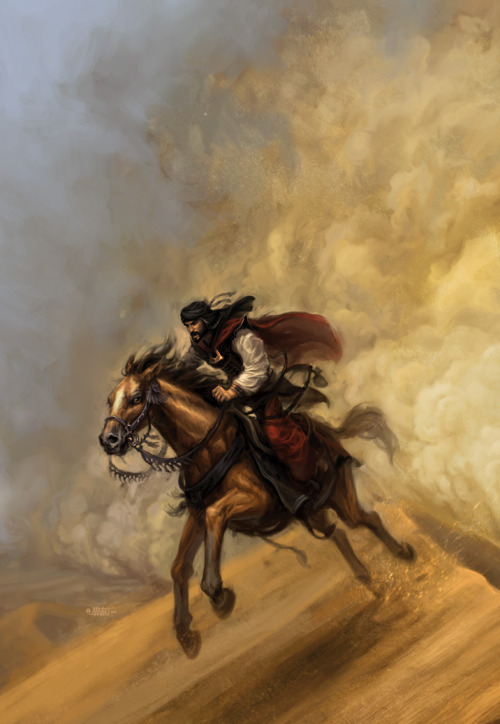 Choose whether you want your character to be an Imperial (from the center of the Caliphate), Borderlander (from Sanctuary and the surrounding towns - most NPCs you meet will be Borderlanders), or Nomad (a member of one of the nomadic groups who range through the borderlands). There is a good chance that you might roll an entry which hasn't been finished yet - roll again if that's the case. Hobgoblin, from the 2e Monstrous Manual. Pretty kickass. Have you read William Beckford's Gothic novel Vathek by any chance? It's a very "orientalist" novel but it might be interesting as an inspiration for how outsiders view Bieth. No, actually! I have very little exposure to Gothic novels in general; would Vathek be a good place to start getting exposure to the genre?